Please note the P.E.I. 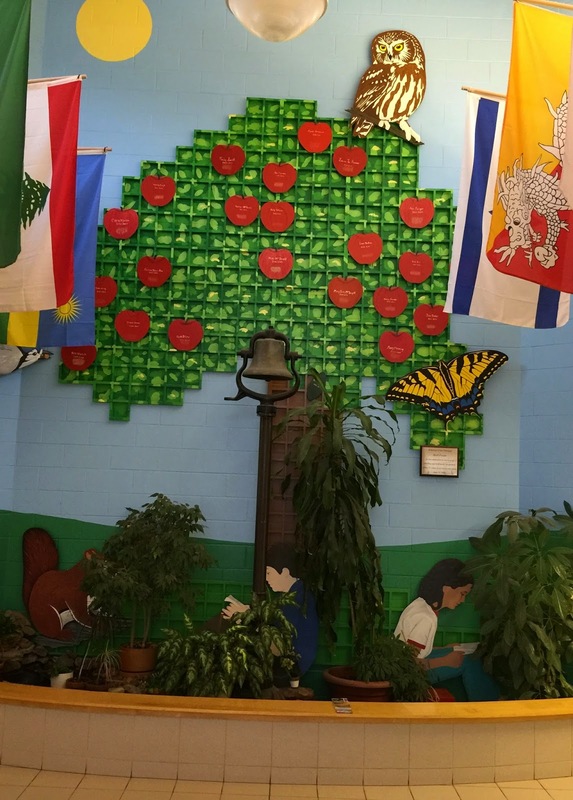 Teachers' Federation CANCELLED the rally that was scheduled for Tuesday to protest the elimination of 28 positions in the English Language School Board. 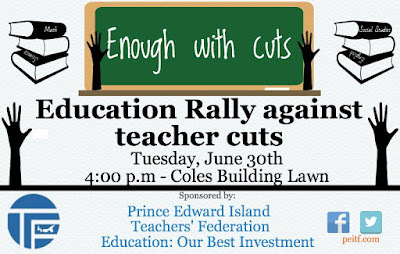 The PEI Teachers' Federation is holding a rally to stand united against the continued cuts to our Island education system. 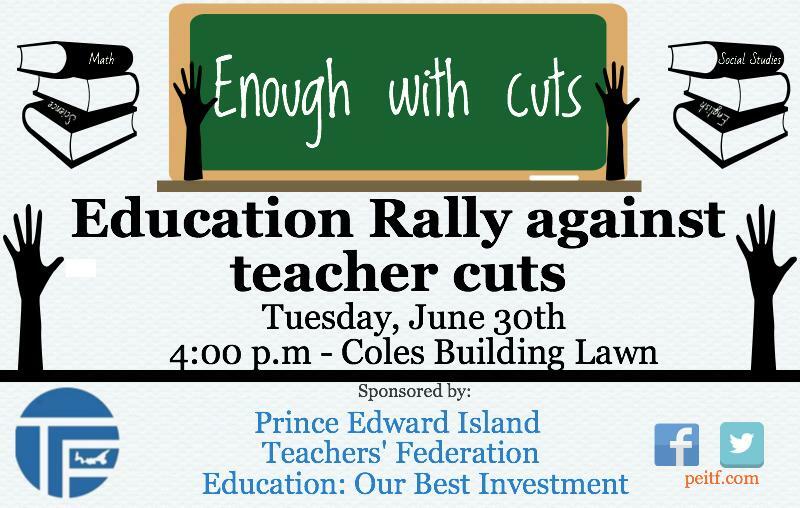 Teachers, parents, students and concerned community members are encouraged to attend to show that Islanders are not in support of these cuts. It's time to send a message to government that cuts to education do not add up. The rally occurs on Tuesday June 30th at 4:00 pm at the Hon. George Coles Building, 175 Richmond Street in Charlottetown. 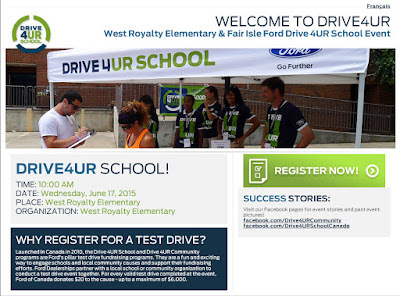 Ford Drive One 4 Ur School is TOMORROW!! Did you pre-register? We need as many parents, grandparents, aunts, uncles, neighbours, and friends as possible to sign up for our Ford Drive One 4 Ur School event TOMORROW. As of 11 am today we have 104 people registered... let's make that number grow! Please pre-register for a test drive at http://bit.ly/1Tb37Rd. Tell everyone you know that has a driver's license to sign up too - call, text, tweet, and share with your Facebook friends! Once you're registered, all you need to do is show up at the school anytime between 10 am and 7 pm to test drive a Ford and fill out the survey. Bring a friend with you! It will only take approximately 20 minutes of your time. We are hoping to have 300 people take a test drive so our school will receive $6000 from Ford. 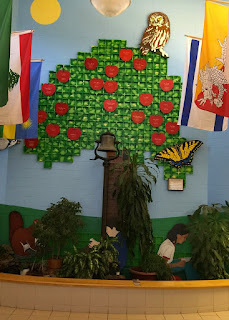 Thanks for supporting West Royalty School! 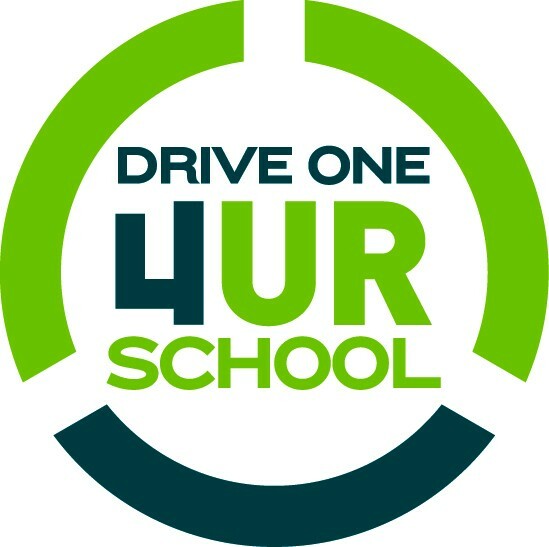 If you even think you are coming to our Drive One 4 Ur School event on Wednesday, PLEASE register TODAY - CLICK HERE. It literally takes less than a minute and it helps us out SOOOOO much!!!! AND, we are still looking for volunteers to help co-pilot the vehicles or run the registration desk. Let us know at westroyaltyhs@gmail.com! Sign up and get the word out - Ford Drive One 4 Ur School is June 17th!! 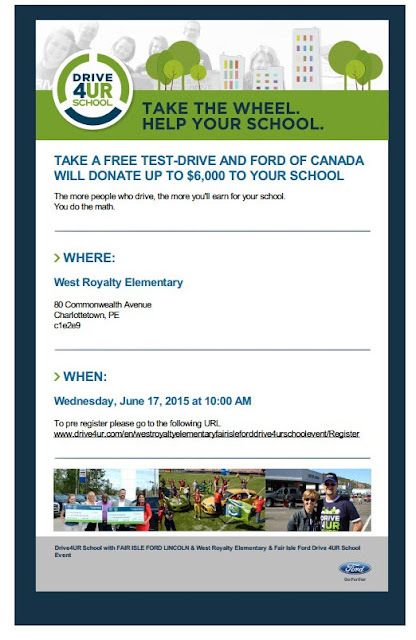 You do the math... Go for a free test-drive and Ford will donate $20 to West Royalty School... Please share and get the word out! To pre-register for a test-drive... click here!! To volunteer... let us know at westroyaltyhs@gmail.com! !